“BYO” is often seen on invitations asking people to bring booze, but it’s unusual for the practice to be applied to the death row arena. Arizona has done just that, however, requesting inmates up for execution to bring their own lethal injection drugs. There is a dearth of lethal injection drugs in the United States after the European Union banned the export of medication used in capital punishment to the US, citing it as a violation of the EU Torture Regulation of 2012. Since then, states have resorted to using different drug cocktails for the procedure. When that fails, they have fallen back on outdated methods like the electric chair or a firing squad. Arizona, however, appears to be more creative in its approach for obtaining either of two barbiturates, pentobarbital or thiopental. 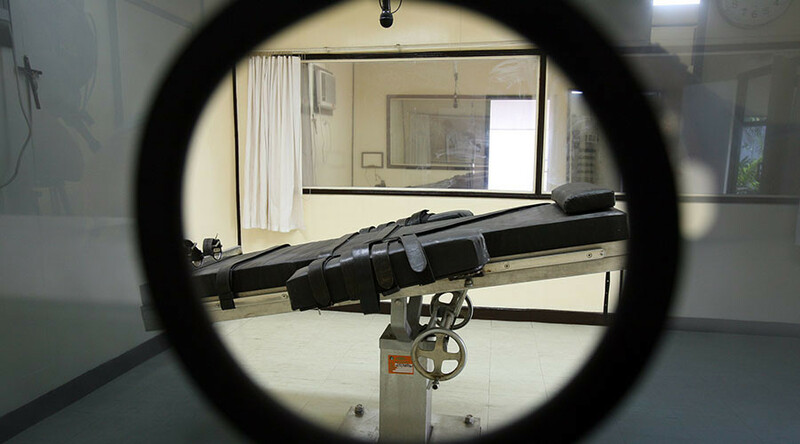 It updated its protocols last month, in part as a response to running out of death penalty drugs, the state says that attorneys for death row inmates can bring their own lethal injection drugs. “If the inmate’s counsel or other third parties acting on behalf of the inmate’s counsel are able to obtain from a certified or licensed pharmacist, pharmacy, compound pharmacy, manufacturer, or supplier, a sedative, pentobarbital, or an anesthetic, sodium pentothal, they can then provide the department with those drugs." Corrections Director Charles Ryan will still have “sole discretion as to which drug protocol will be used for the scheduled execution,” the document said. There’s just one problem with that plan. “This is a bizarre notion that calls for actions that are both illegal and impossible,” Dale Baich, of the Federal Public Defender's Office in Arizona, told the Arizona Republic. Megan McCracken, a lethal injection expert at the University of California Berkeley School of Law, had a similar assessment. The clause is “unprecedented, wholly novel and frankly absurd. A prisoner or a prisoner’s lawyer simply cannot obtain these drugs legally, or legally transfer them to the department of corrections, so it’s hard to fathom what the Arizona department was thinking in including this nonsensical provision as part of its execution protocol,” she told the Guardian. 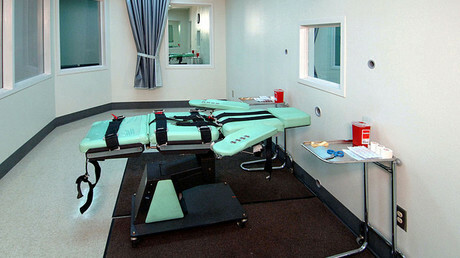 Arizona already is familiar with trying to obtain lethal injection drugs illegally. In October 2015, US federal agents intercepted a package of sodium thiopental ‒ worth nearly $27,000 ‒ that the Grand Canyon State was trying to import from an unidentified supplier in India and which had not been approved by the US Food and Drug Administration (FDA). The state put executions on hold in 2014 after a botched procedure condemned as “torture.” In that case, executioners administered a total of 15 doses of a new drug cocktail made up of midazolam, an anesthetic, and hydromorphone, a painkiller. Convicted killer Joseph Wood remained alive for two hours after the first injection. Even before Wood’s botched execution, however, the drug cocktail in his case ‒ and the method of administering ‒ made national headlines, because the Supreme Court overruled a stay of execution. The decision overrode the 9th Circuit Court of Appeals, which agreed with the arguments put forth by Wood’s lawyers that he had a First Amendment right to know the source of the drugs that would be used to execute him. They also demanded to know the qualifications of his executioners. The Supreme Court did not address the First Amendment concerns in that case.